Welcome to the first of what I hope (time permitting) will become a regular monthly feature - a retrospective commentary on the previous month's sales. 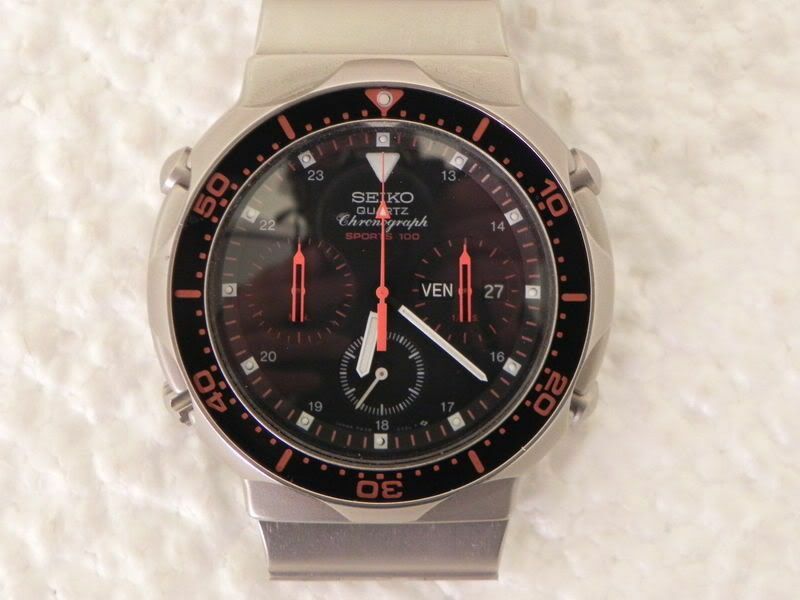 It'll very much follow the lines of Pete W's late-lamented GMT+9 commentary on Yahoo Japan auctions, but cover only Seiko 7As and derivatives - and of course eBay. I've found January is usually a good month for 7A38s on eBay, as people struggle to meet credit card and other bills after the Christmas holidays. 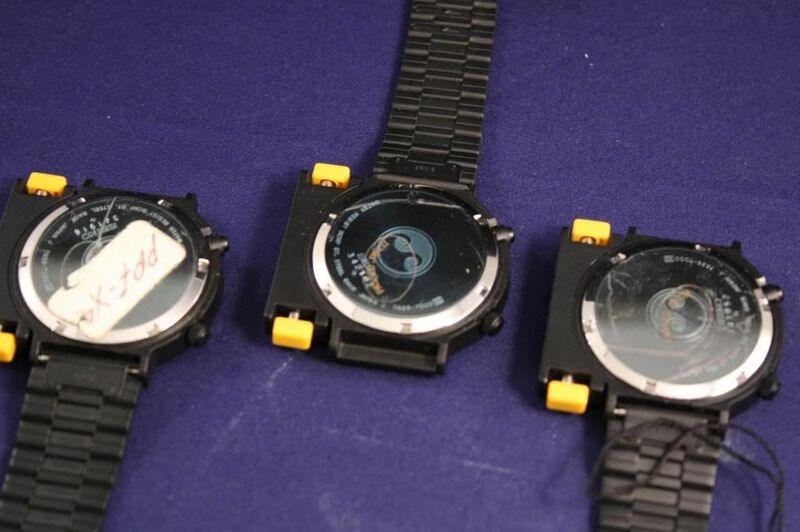 Let's face it - watches are replaceable assets which are easily converted into cash. Pickings were pretty good this time around - but there weren't so many bargains to be found in this year's January Sales. A sign of the times, perhaps ? A few eBay listings worthy of note. 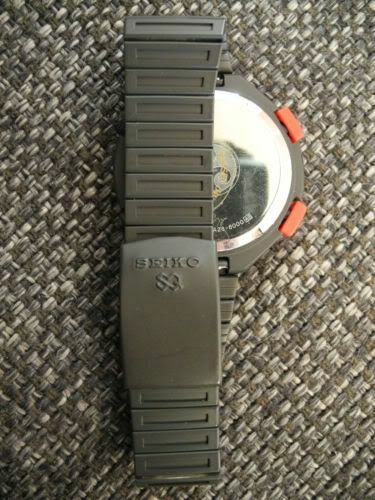 Yet another ‘New without tags’ 7A28-6000 ‘Bishop’ surfaced on eBay Germany in January. The seller included plenty more photos besides those two shown above. 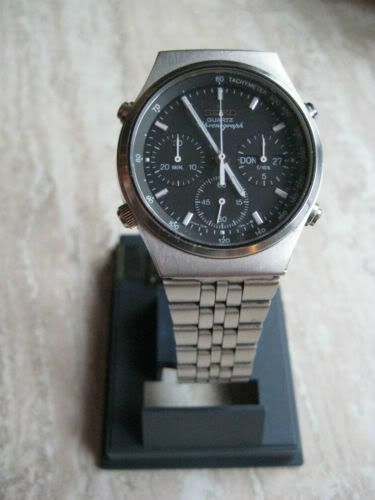 See: http://www.ebay.de/itm/140683169525 It sold for 441 Euros (approx. £367) after 9 bids, having remained static at 321 Euros for two days prior to the auction end; the last 2 bids coming in the final 6 seconds. 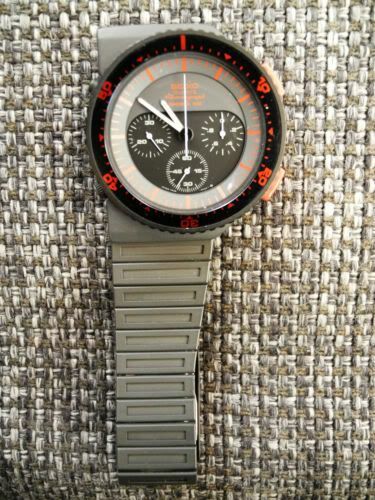 A nice example of a 7A28-703A, described as ‘New with defects’, but which had obviously been worn and taken care of, was originally listed on eBay in the States, at the beginning of January, with what can only be described as a ridiculously optimistic Buy-it-Now asking price of $850 (approx. £547). See: http://www.ebay.com/itm/170757019567 Again, the seller included plenty more photos besides the two I've included above. It subsequently sold, some 3 weeks later, for a rather more down-to-earth, but still very strong $400 (approx. £257). 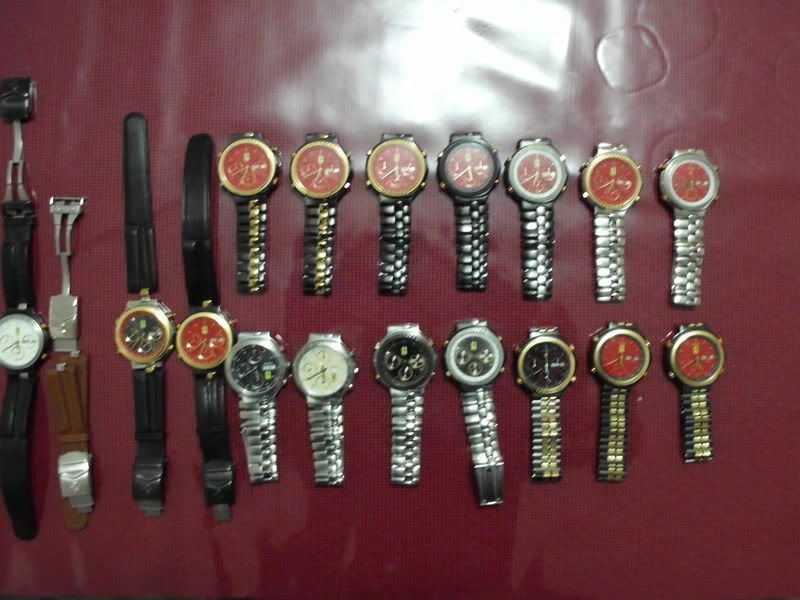 A collection of 14 Cartier Ferrari Formula 7A38 (a.k.a. Cal. 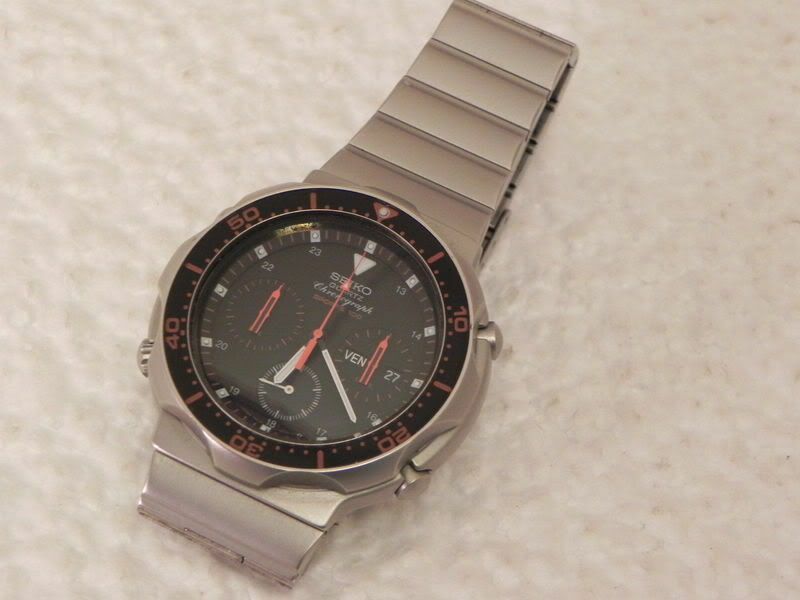 531) quartz chronos, which also included two of the rarer Valjoux 7750-powered versions was (possibly reluctantly) offered on eBay, by a German Ferrari enthusiast (and 1:18 die-cast collector) with the eBay username Ferrari-Bburagonr1. There were a couple more photos besides these two, both partial shots of the collection, but quite frankly not of much better quality. 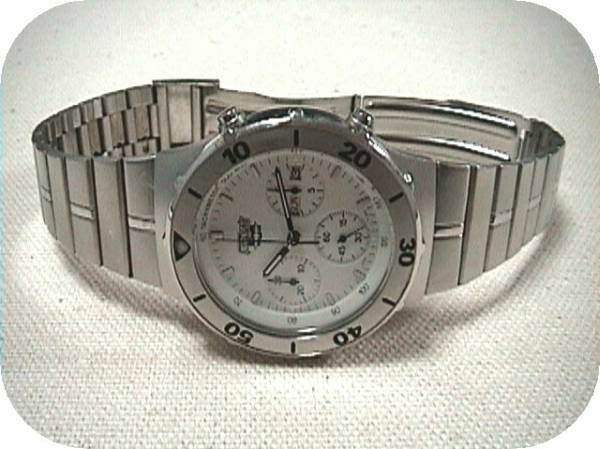 Bidding had reached 7065 Euros, before the auction was ended early. Presumably the seller succumbed to an offer outside eBay. This was probably something of a desperate fire sale on his part. Initially he had started listing them individually, but only a couple of auctions went the distance. 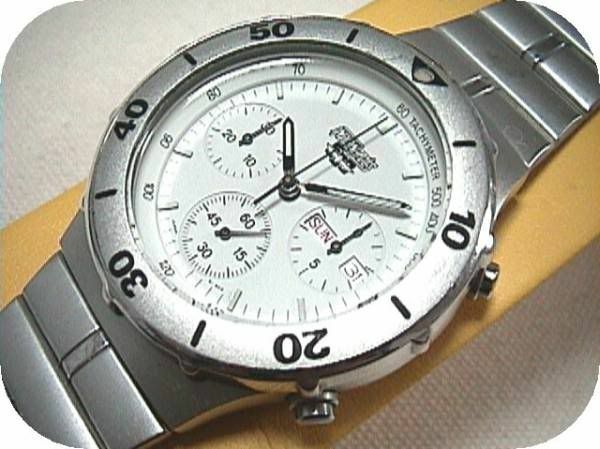 See: http://www.ebay.de/itm/150731621657, which was for one of the most common two-tone red-dial ‘TestaRossa’ models, which made 461 Euros (approx. 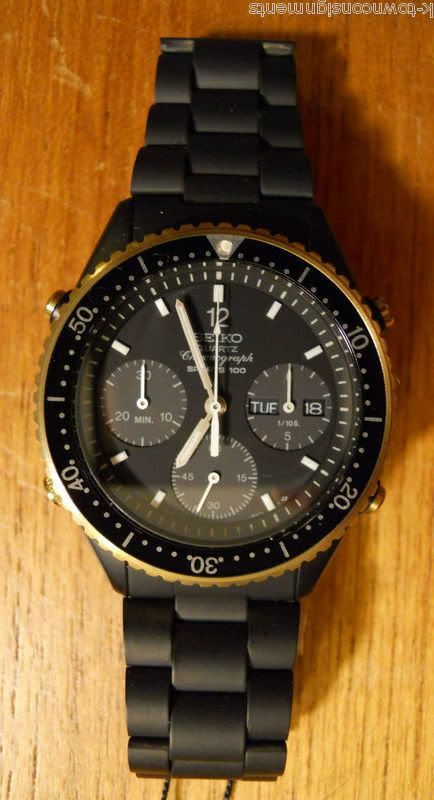 £384) and a used tan leather strap, without deployant clasp: http://www.ebay.de/itm/150731623423 which appears to have made an incredible 58.77 Euros (approx. £49). If you read the Q&A’s at the bottom of the collection listing, he replied that he would accept 15000 Euros to end it early. 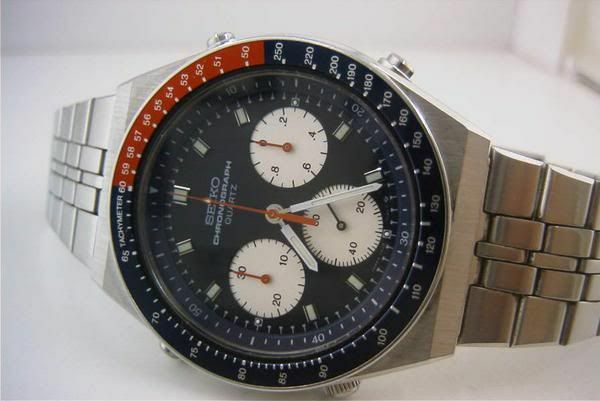 So one can either presume it’s gone to a wealthy like-minded Ferrari collector, or possibly a dealer who specializes in such quartz chronos like Philippe Boyer (www.chronographe.fr), who would probably knock them out for 1000 Euros apiece. They would have made a nice addition to my collection, but way beyond the means of an impecunious 7A38 collector like myself. 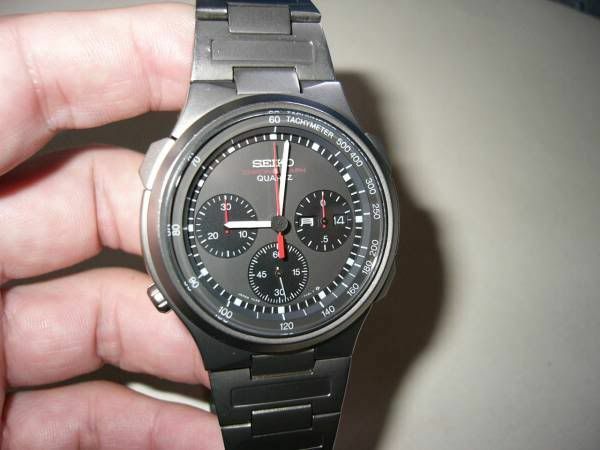 Dachbodenentrümpelung Seiko Chronograph, and with a slightly daunting description of little more than: Batterie muss erneuert werden. 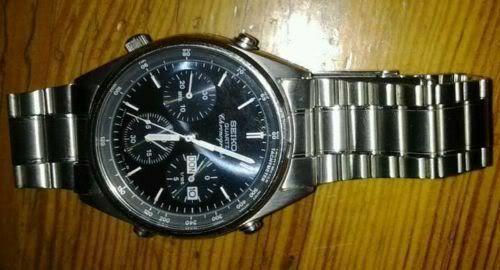 See: http://www.ebay.de/itm/160709522435 I referred it to RLT and 7A38 forum member ‘Zenomega’ who picked it up for 61 Euros. Indeed all it needed was a new battery, and it also turned out to be in almost pristine condition. Most audacious asking prices ? The award for must surely go to new Italian ebay seller ‘angeli_65’ (0) who offered his ‘New with Tags’ 7A38-704A (in incorrect Guigiaro Aliens packaging, with the wrong tag), item # 270899999638 and 7A38-7140 (which showed clear evidence of having been worn), item # 270900021867 for the incredible price of $2350 (approx. £1508) EACH ! Both currently remain unsold - it goes without saying. Originally he listed it with a Buy-it-Now asking price of $135 + $9.99 shipping. Not that I particularly needed one personally, but I was so disgusted by his original asking price that I messaged him and told him what I thought, citing a certain character in Shakespear’s Merchant of Venice (the 'pound of flesh' anology). You really wouldn’t like me when I’m angry. He immediately changed it to free shipping. It still didn’t sell, needless to say. He then re-listed it for $115 (with free shipping) to no avail. So he then illogically re-listed it for $125 on the current 30 day listing. Stand firm fellow enthusiasts and resist. It sold, after 34 bids (the number of bids was grossly inflated by couple of low or zero-feedback bidders) for a fairly unremarkable 100 Euros dead. What was remarkable that over the course of the 10-day auction, the listing received a massive 1437 individual views !!! Sold for a strong $361 (approx. £228.50) after 24 bids - the auction finishing at 4:00am (UK time) on the morning of 31st January, he says yawning. Perhaps the nicest yet ? I'll let you know when it arrives. And there was where I'd originally planned to cut off my little commentary on eBay auctions for January 2012. It seemed like as good a place as any. The next (and last in this article) eBay auction worthy of mention was listed on eBay Italy on 27th January and didn't end until 3rd February, so by rights should have been included in the next February auction commentary. 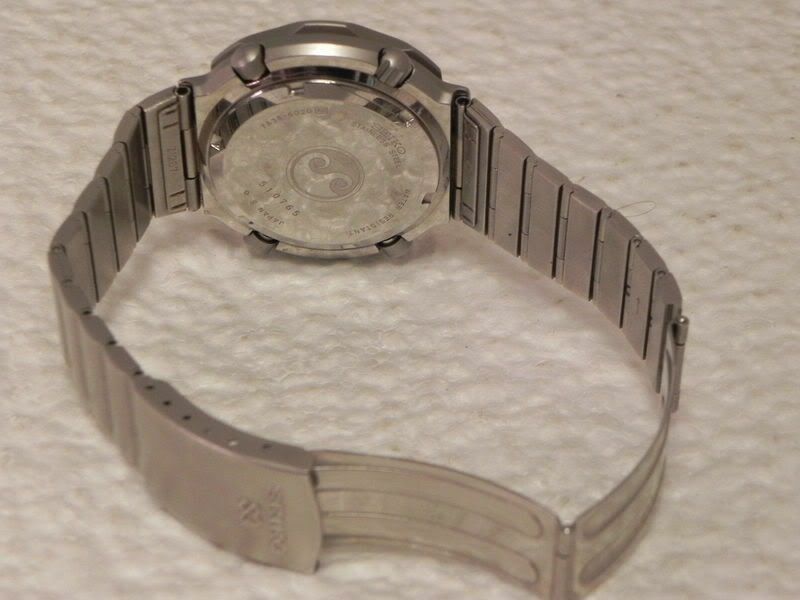 But seeing as it's a fairly rare and sought after variety - a 7A38-6020 - one of the biggest at 43mm diameter, with a hefty price to match, and as discussions have already started on the forum, I thought I might as well include it here. 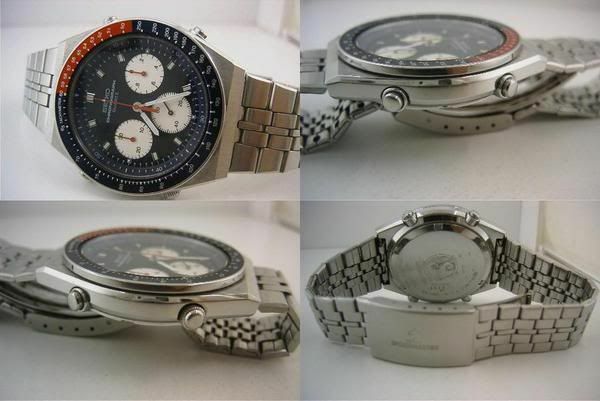 As can be seen from the above photos and as stated in the seller's description, it was a lightly worn carefully-looked-after example without signs of rubbing wear to the silver anodized coating, and the usual faded bezel numbers and dial printing. What some may have failed to notice was that it was also short of a few bracelet adjustment links. 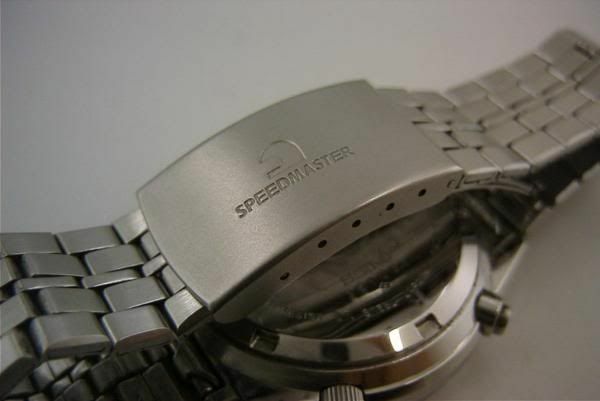 I asked the question of the seller - and with the total number of links fitted, it would have been a very tight stretch literally, to fit a 7¼" wrist, even using the last set of adjustment holes in the clasp. The opening bid price was a confident $350 and for most of the week, the high bid hovered below $400 - until the final day when bidding leapt in stages to an astonishing $876.66 (approx £555) in the last 2 seconds. The auction was won by a zero-feedback bidder who appeared to have newly created the eBay ID for the sole purpose of bidding on that auction. A scam - or possibly a genuine sale ? I suspect we may never know the answer, sadly. Dealer Jeff Resnick offered three NOS 7A28-7000 ‘Black Aliens’ on SCTP in mid-January. Remember that, the next time you see them listed on eBay as ‘Rare’. 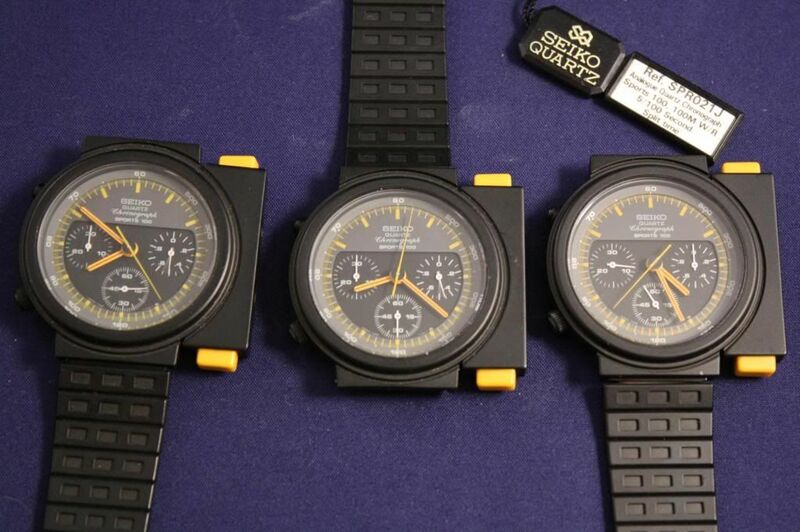 These now may be very desirable, both to Aliens movie buffs and Seiko 7A collectors, but it’s becoming very clear from the numbers that keep appearing 'out of the woodwork' that dealers had trouble selling them back in the day. All three had minor faults, mostly sticking chrono' sweep second hands (sign of lack of use). Pity about the slipped tool-marks on those otherwise pristine case-backs. One sold a day later, and the other two were reduced to $725 and $625, and unless the advert hasn't been updated, still remain unsold. 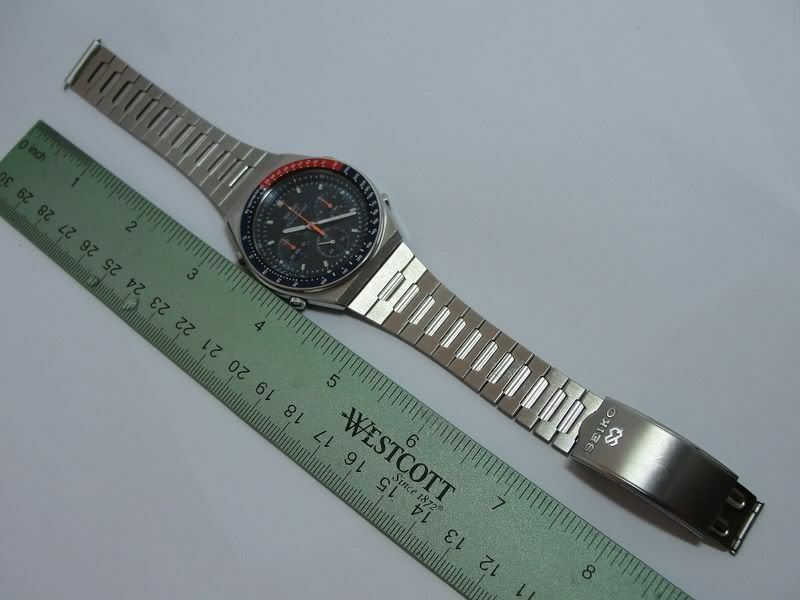 This watch is very similar, in many respects, to the gold-plated N7, which I pointed out to 7A28 collector by Mark Mills. 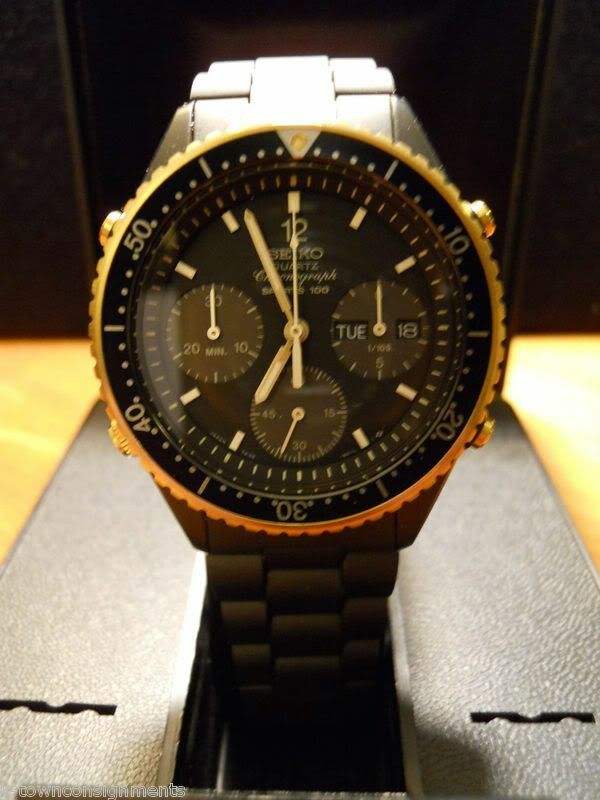 See this thread on SCWF: http://www.thewatchsite.com/index.php/topic,20575.msg113951.html If my memory serves me, Mark picked his rather nice example up for the princely sum of only $49.99. By the way, that's equivalent to £488 or $763 US - before you even think about adding on the SMJ / Japamart fees / shipping / VAT etc.. Asking price apart, the seller’s small blurry photos don’t inspire confidence either. Had I been able to contact the seller, I might have made them a sensible low-ball offer - but the item hasn't since been re-listed since the end of January, so perhaps another Japanese 7Axx enthusiast may have done so. 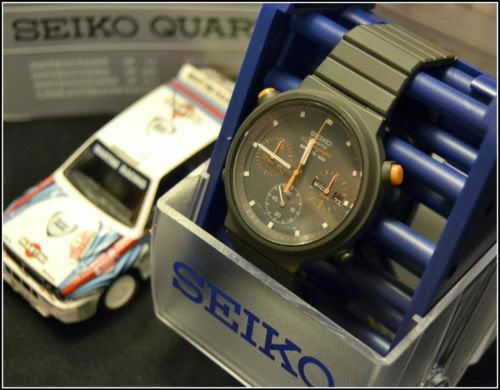 You don't normally find that many Seiko 7A38s per se, on Yahoo Japan - usually they're limited to the few JDM home market models (some of which are very collectible - of more anon). 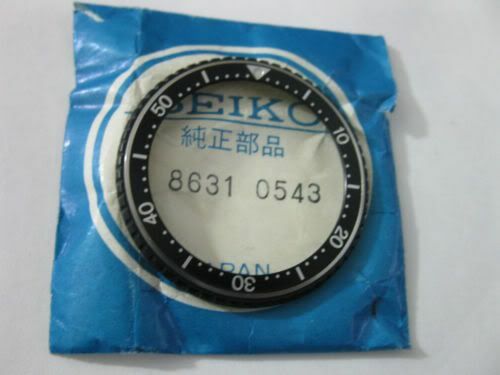 Seiko offered far more 7A28 models to its Japanese customers, but the majority of the 7A38 model range seem to have been designated for export only. Something I've noticed over the last year or so, would at first sight appear to be something of a 'carrying coals to Newcastle' exercise. 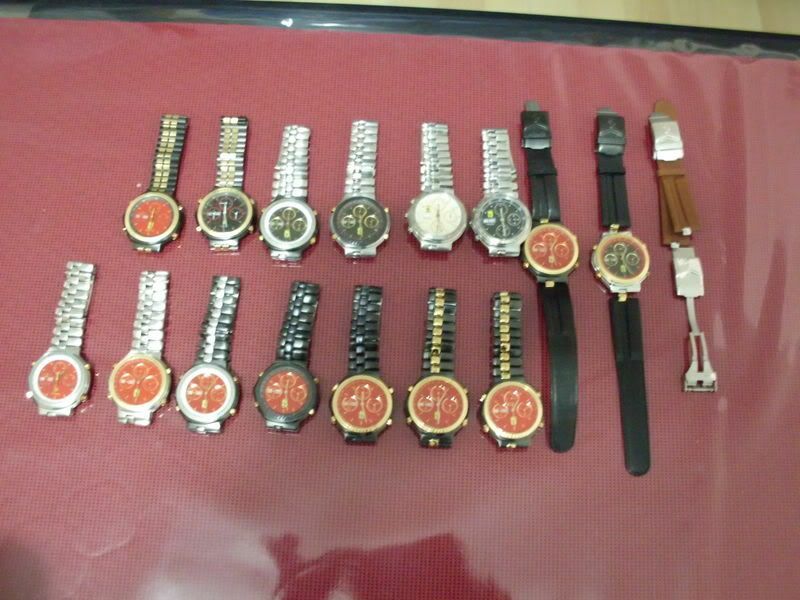 A couple of Japanese watch dealers - one of them notably 'swotlab', are buying up cheaper 7A38s on eBay, and re-selling them on Yahoo Japan - sometimes at a profit, sometimes without success. Here's a couple of links to 'swotlab's current offerings. See if you can find their previous eBay listings (I did). http://page5.auctions.yahoo.co.jp/jp/auction/e122315205 and http://page.auctions.yahoo.co.jp/jp/auction/151587238 I've not bothered to include the listing photos but they were the relatively common (outside of Japan) two-tone versions of the 7A38-7270 and 7A38-7280. 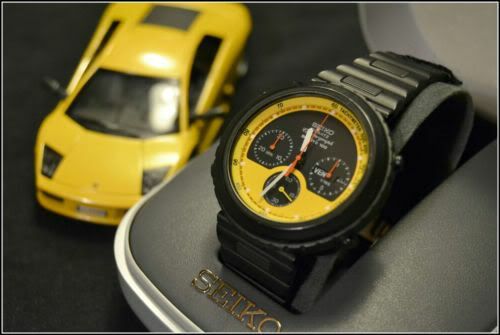 The auction ended on Saturday 21st January at 21:00 local Japan time. 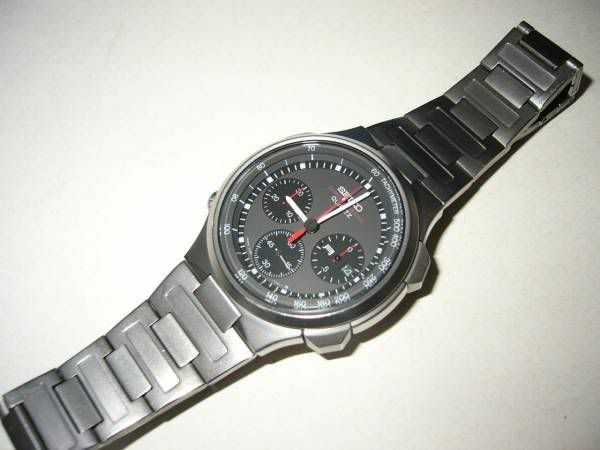 It sold for ¥40,500 Yen (approx £338 GBP or $526 US) after 50 bids by 11 different bidders. 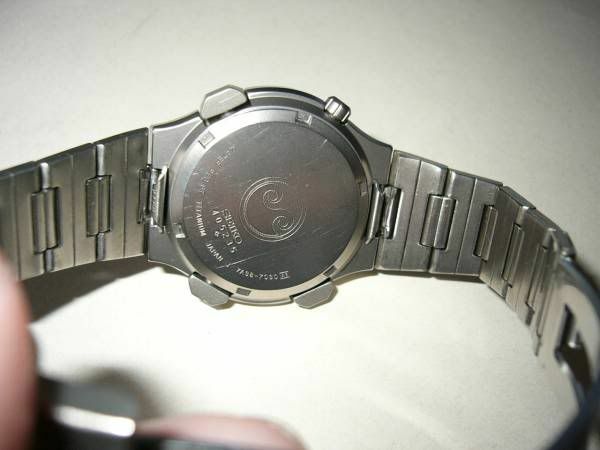 Incidentally, a previous example in slightly better cosmetic condition had sold on Yahoo Japan in July 2010 for ¥48,500 Yen (equivalent to £359 or $554 US). 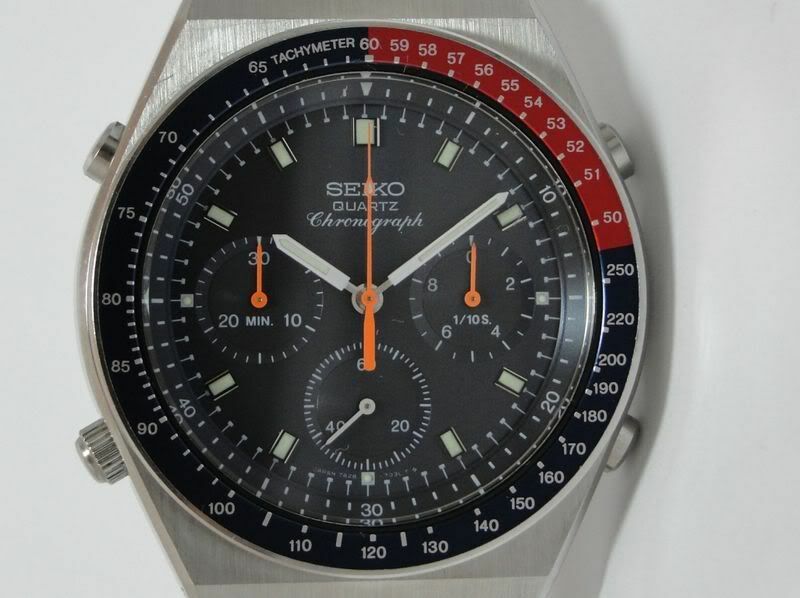 I have a sneaking suspicion that the auction was won by a significant US collector of 7A38s who has an affinity for this particular model - indeed, I believe that another example is his daily wear. It sold for for a very reasonable ¥26,000 Yen (equivalent to £215 or $340 US) after only 8 bids. That's it for January 2012, as far as I'm concerned. Till next month - Happy auction watching.